A new test to spot where the ability to exploit the power of quantum mechanics has evolved in nature has been developed by physicists at the University of Warwick. The test identifies a tell-tale hallmark of quantum coherence, classifying the properties of particles in a quantum state that are interacting with a real-world environment. The test should allow scientists to quantify and track quantum coherence in the natural world using laboratory experiments. Published this week in the journal Physical Review A, the theoretical work could lead to experiments that help solve the debate on whether biological processes exploit quantum mechanics to their advantage, and whether evolution could provide us with a template for quantum technologies such as computers, sensors and energy sources. Microscopic particles in a quantum state are very difficult to spot as the act of observing them changes their state. These stealthy particles can exist in many locations or configurations simultaneously, a feature known as quantum coherence. The effect underpins technologies such as quantum computers, quantum sensors and quantum communication systems, which use ordered systems isolated from the rest of the world. However, whether quantum coherence exists in the noisier and messier real world is more difficult to identify. The test involves a procedure to destroy quantum coherence, and then to observe the change in later measurements. Where a measurably large impact is observed, scientists can demonstrate that there must have been quantum coherence in the system. The new work clarifies the possible exceptions to this conclusion, which depend on how quickly the special procedure can destroy the coherence. Dr. George Knee, 1851 Royal Commission Research Fellow from the University's Department of Physics, said: "To demonstrate the presence of quantum coherence in a biological system would constitute a paradigm shift, away from the idea that only humans have the ability to engineer systems capable of exhibiting and exploiting quantum coherence. It would also be a step toward the Schroedinger's Cat thought experiment, where a living organism is placed in a state where it is, quantum coherently, both dead and alive." Co-author Dr. Animesh Datta said: "The results from this test will be valuable in improving our understanding of how chemistry and biology works, and may allow us to answer the question of whether quantum physics has played a part in evolutionary processes." According to quantum physics, a particle, such as one carrying energy in a photosynthetic organism, can travel along multiple different pathways between an input and an output. 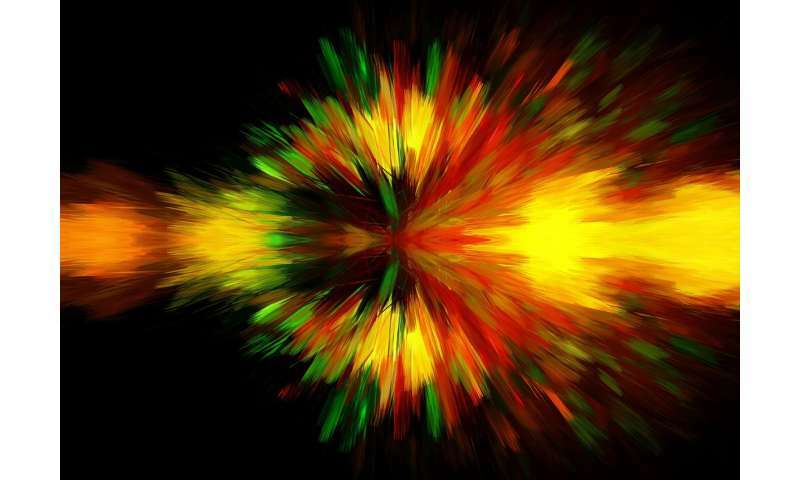 The energy carried by the particle could be lost at any moment after it is created. Should the particle move towards its destination faster, there is a lower chance of loss and greater efficiency could be achieved. Coherence allows for interference between the two pathways, allowing the particle to travel further on average than it could otherwise during the same time period. This suggests that quantum effects might have lent an evolutionary advantage to those organisms adapted to exploiting them. Dr. Knee added: "The possibilities are tantalising: if our proposed test were carried out in a biological system, and returned a positive result, we might be able to learn quantum engineering design principles from nature. We could then try to create biomimetic technologies that are more robust and perhaps even more powerful than the current generation of quantum technologies, which are almost exclusively based on highly isolated systems. If we were able to turbocharge artificial light harvesting, such as in a solar cell for example, there would be a huge potential for providing affordable, renewable energy." I take issue with the implication that living organisms "engineer" things or biological processes "take advantage" of quantum properties "for their own advantage." "If we were able to turbocharge artificial light harvesting, such as in a solar cell for example, there would be a huge potential for providing affordable, renewable energy." This is balderdash and proves this fellow understands nothing of the principle of energy flux density. Only nuclear fusion will increase it. It *is* a bit of an irritating anthropomorphic shorthand, but it is all too common within biology too.